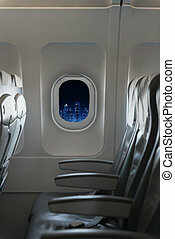 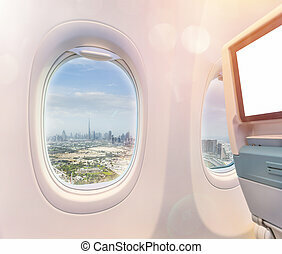 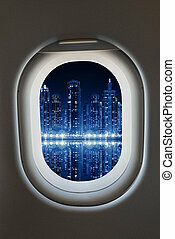 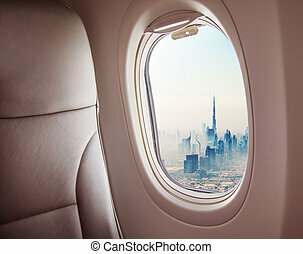 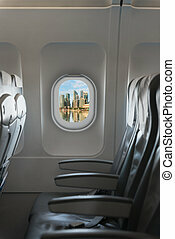 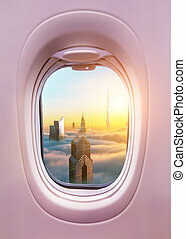 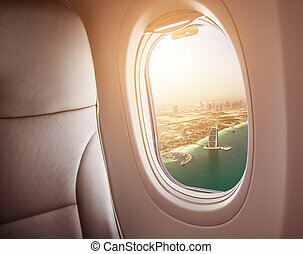 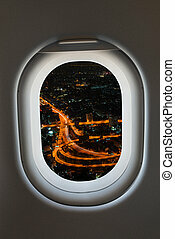 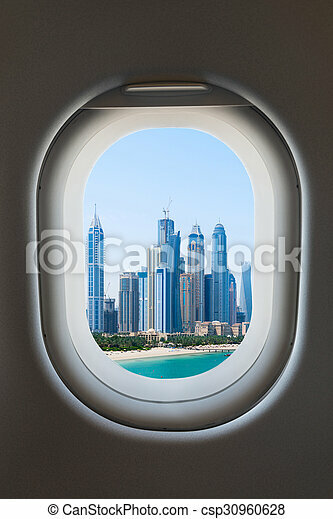 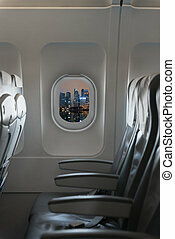 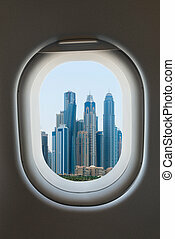 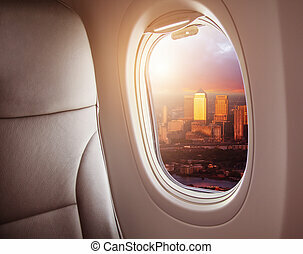 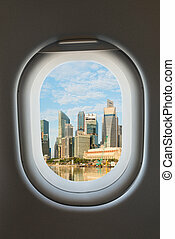 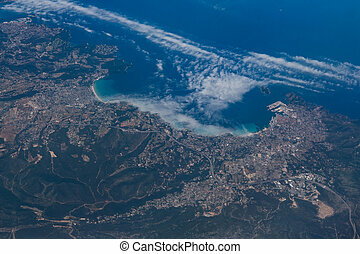 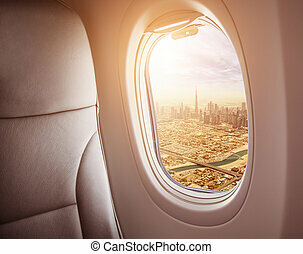 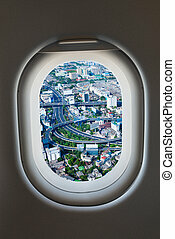 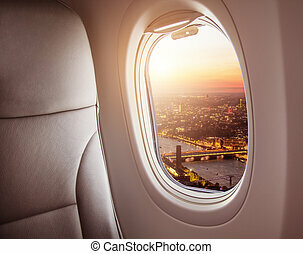 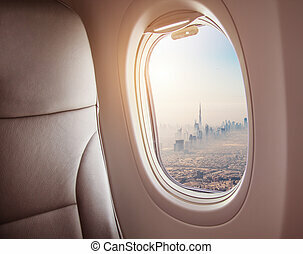 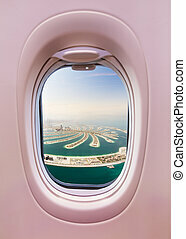 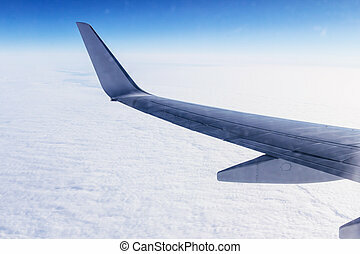 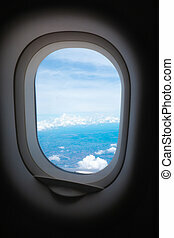 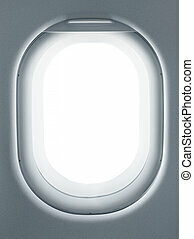 Airplane window from interior of aircraft with modern city view. 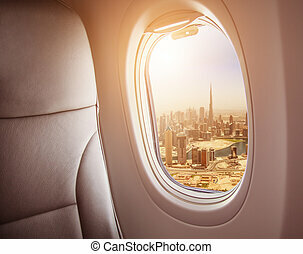 Airplane window from interior of aircraft with modern megapolos city view. 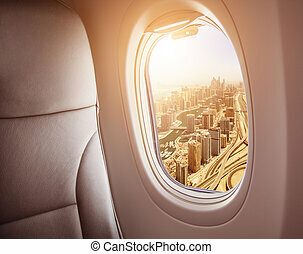 Airplane Window From Interior Of Aircraft With Modern City View. 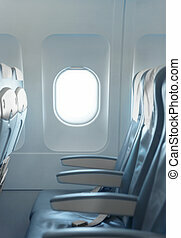 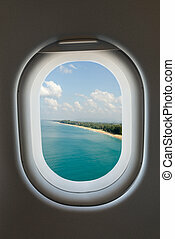 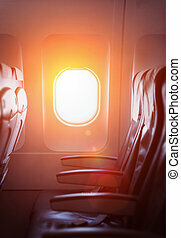 Airplane window from interior of aircraft with tropical beach view.